We live on 7 wooded acres in Sparrowbush, NY. Located where New York, New Jersey and Pennsylvania meet all separated by the picturesque Delaware and Neversink Rivers. After our first golden Trooper, joined the family in 1988, we fell in love with the breed and haven't been without one since. We are a small home based kennel. All of our dogs are members of our family and reside in our home with my husband, children, and myself. My family is active in the dog world. 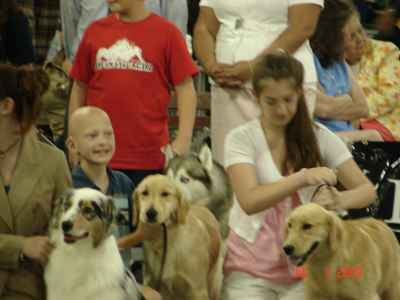 All of our dogs participate in Conformation, Obedience, Rally, Agility, and do Field Work. Our dogs also are Canine Good Citizens and do Therapy Work. 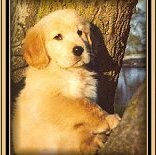 We are members of the Golden Retriever Club of America, Tri-State Dog Obedience Club, Monticello Kennel Club, and Wallkill Kennel Club.